What is a sting ray? 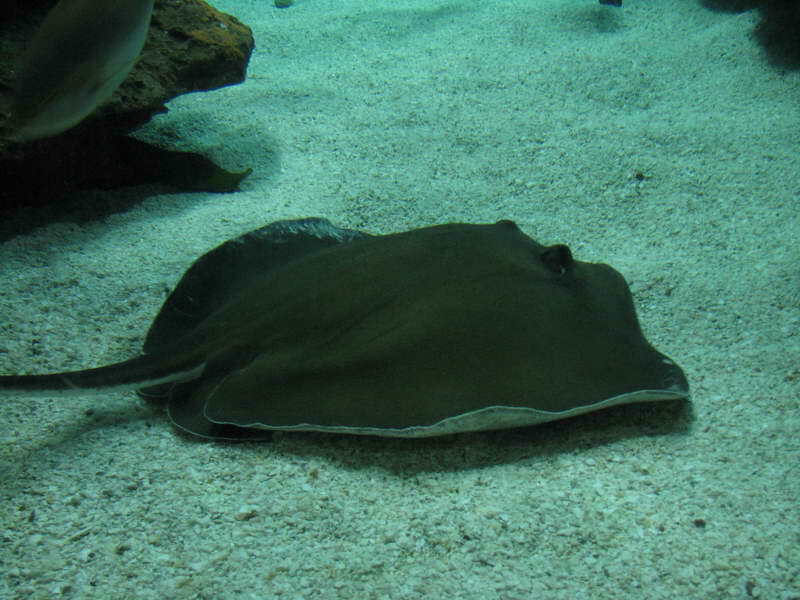 Sting rays are flat, diamond-shaped fish having long ship like tails armed with poisonous stingers. Sting rays live in warm, shallow coastal waters and often lie of the bottom buried in the sand with only their eyes and breathing holes showing. When swimming, the sting ray looks much like a bat flapping through the water. The sting ray’s stinger is really a sharp, bony spine near the base of its tail. Many bathers have stepped sting ray whips its long tail about and the sharp spine is driven into the victim’s flesh, inflicting a painful wound. The spine is barbed to that a victim cannot easily yank it loose after being stabbed. Sting rays love on a diet of crabs, lobsters and other creatures of the bottom of the sea. They crush their prey with their powerful grinder teeth.